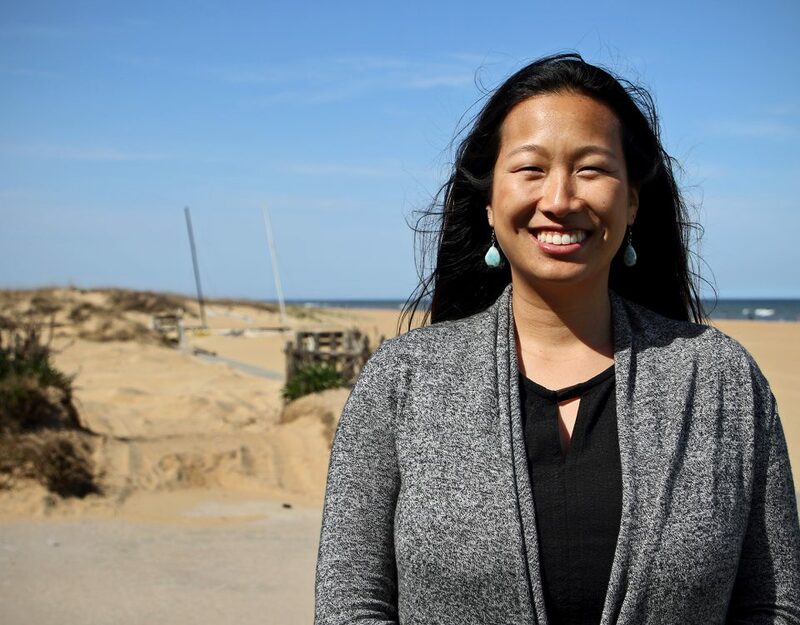 Virginia Sea Grant welcomes extension partner Grace Walker! 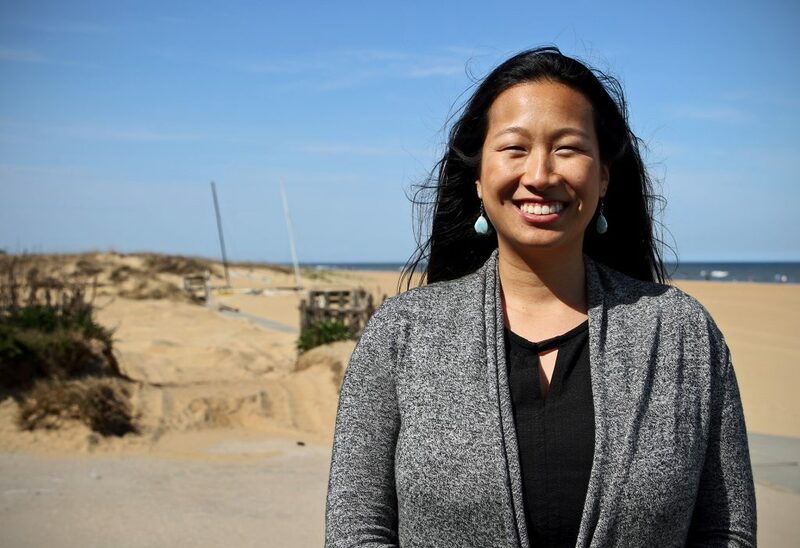 Grace works as a program specialist and outreach coordinator at The Mid-Atlantic Regional Association Coastal Ocean Observing System and with Michelle Covi at Ocean, Earth and Atmospheric Sciences Dept. at Old Dominion University. Billur Celebi is studying how changing CO2 concentrations and temperatures will affect eelgrass in Virginia’s coastal waters. 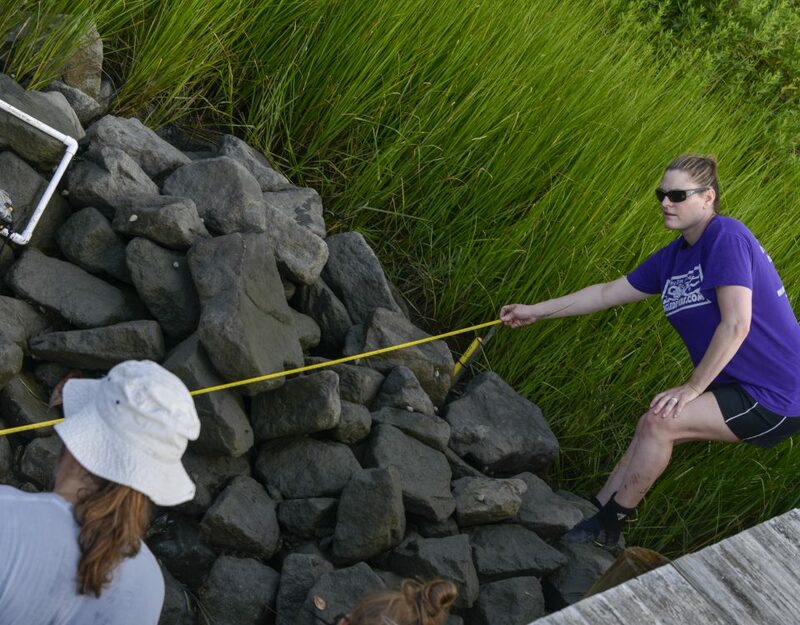 For the outreach portion of her project, she teamed up with Chris Witherspoon and Jovonne Vrechek of the Virginia Aquarium to develop educational programming about seagrass and ecosystem health for Aquarium guests and student programs. 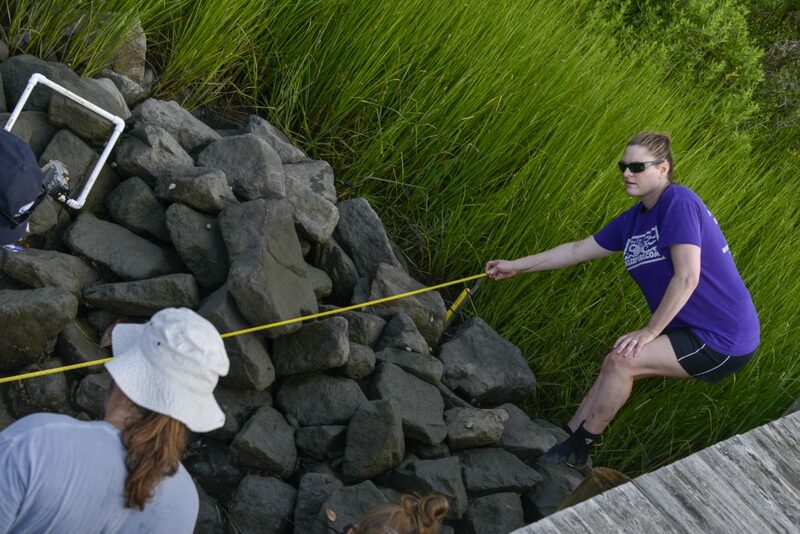 VASG-funded seagrass researchers on the Eastern Shore are studying the effects of climate change on submerged aquatic vegetation. As Superstorm Sandy barreled up the East Coast at the end of October, a group of planners, administrators, engineers, emergency managers, and scientists in Hampton Roads found themselves in the strange position of postponing a meeting about flooding due to the threat of impending flooding. Every morning as I travel on the elevator up to the seventh floor of the National Science Foundation (NSF), each floor that I pass houses programs in a different discipline of science. In the same way, my experience as a Knauss Fellow in the Ocean Sciences Division of NSF has taken me through a broad range of ocean research. One day I read about coral reef work and the next I “dive” into the world of deep sea flagellates. ODU student William Boll shares his experience as an intern aboard the NOAA ship Okeanos Explorer on an expedition to survey and map deep-sea canyons off the Northeast coast of the United States. 15 of Virginia’s federal and state organizations gathered on May 24 to tour the Okeanos Explorer and hear about one new success story: a collaboration that is putting deep-sea data that is usually difficult and expensive to obtain into the hands of Virginia’s management agencies. On Tuesday, May 29, an Old Dominion University (ODU) student hit the high seas to map the deep sea canyons that separate the mid-Atlantic’s continental shelf from the ocean abyss.